Most electric bidet seats we sell will work for most one piece toilets, but there are a few one piece toilets that are very hard to fit. These toilets are designed to offer a sleeker look, which in turn tends to mean less space to work with. 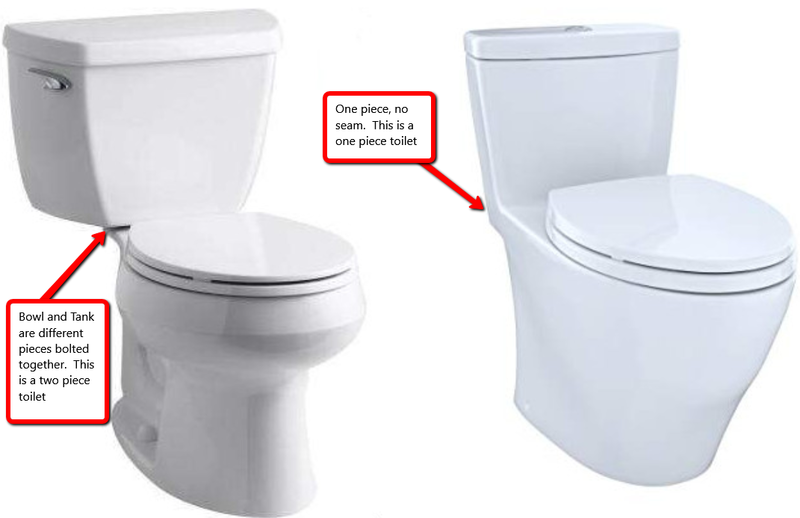 Due to this, we often find that bidet seats fit best on two piece toilets, despite the fact they work on both. If you're not sure how to tell between a one and two piece toilet, hopefully the below diagram will help. Let us know if you have any questions!